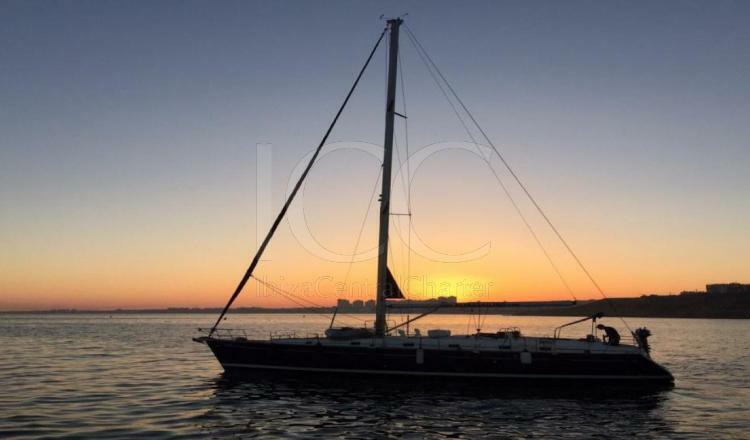 This Beneteau 50 Oceanis is really an incredible sailboat and one of the reference shipyards for all lovers of the world of sailboats. 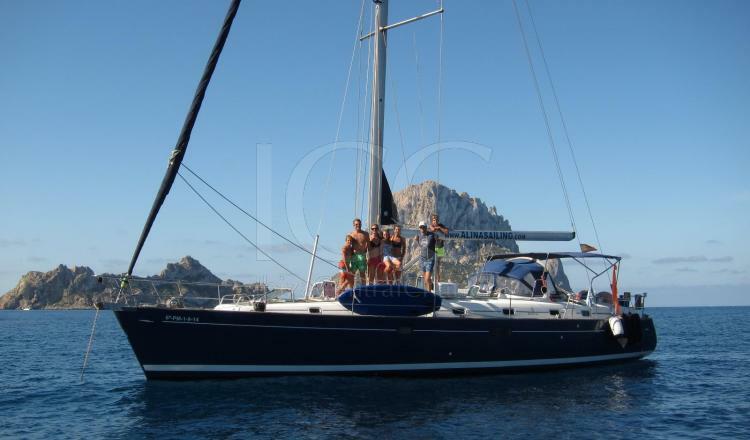 It offers the possibility of navigating the Pitiusas Islands at a race pace. 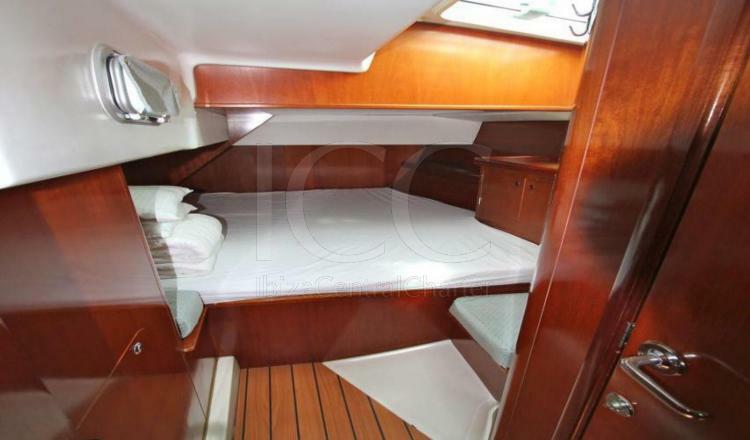 The Beneteau Oceanis 50 is a classic sailboat of 15 meters of length and more than 4 meters of beam. 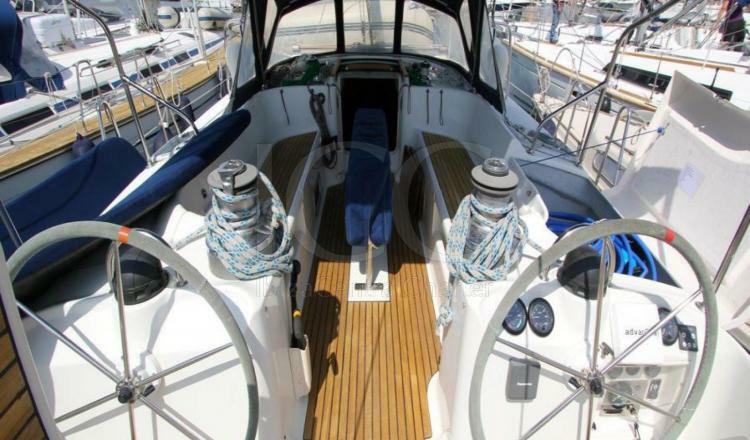 It was built in 2001 and has a refit of 2014. 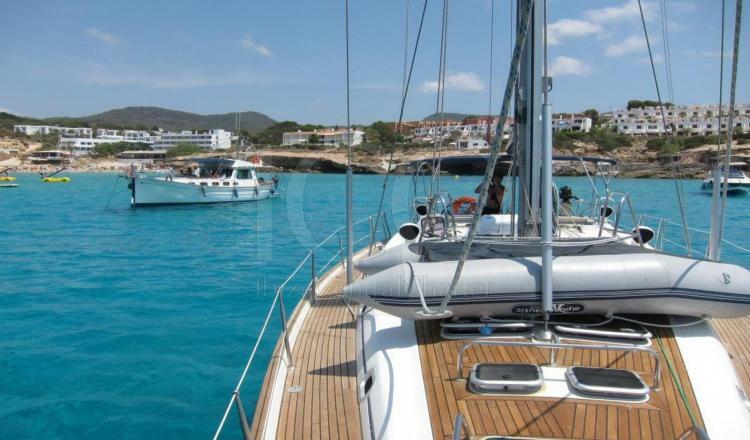 Inside all the comforts to navigate between Ibiza and Formentera at race pace or if you prefer in quiet and relaxed holiday mode. 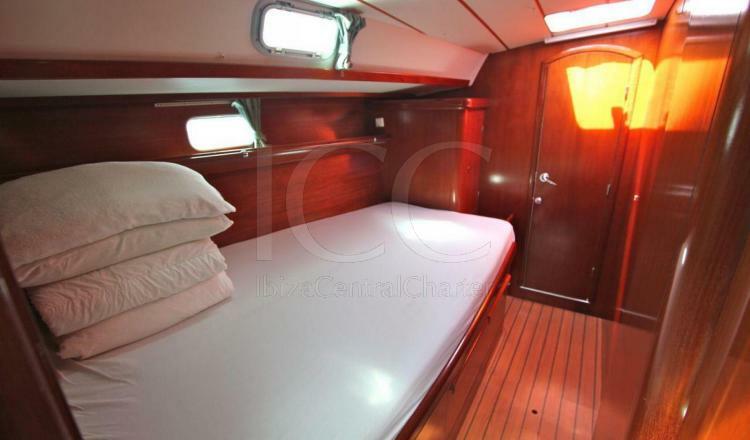 This magnificent sailboat has some interiors where luminosity and comfort take center stage. 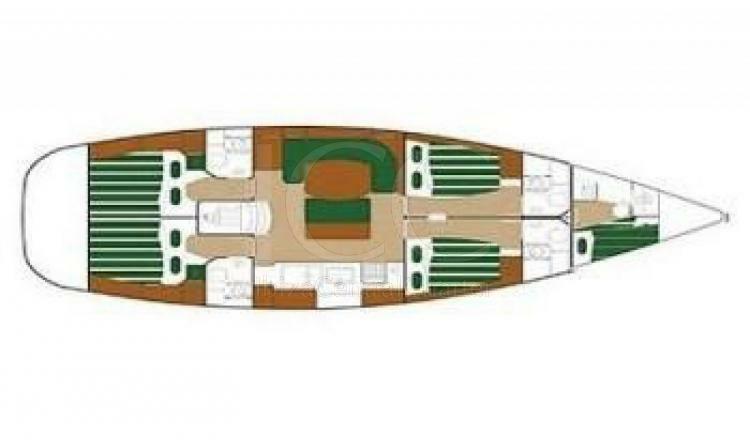 It has 4 double cabins, two aft and one in the bow, all of them also equipped with a private bathroom. 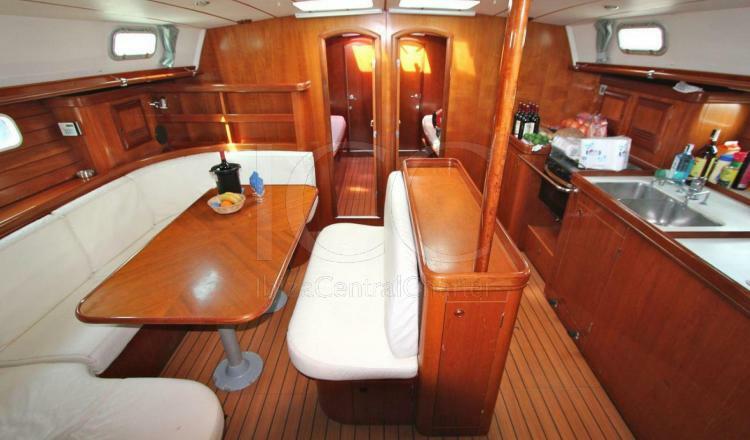 It also has a crew cabin and a large living / dining room. 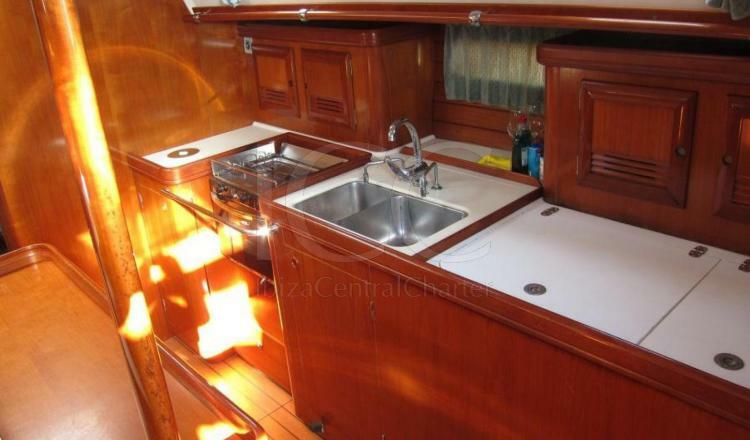 You will also find a perfectly equipped kitchen (fridge, oven and sink). 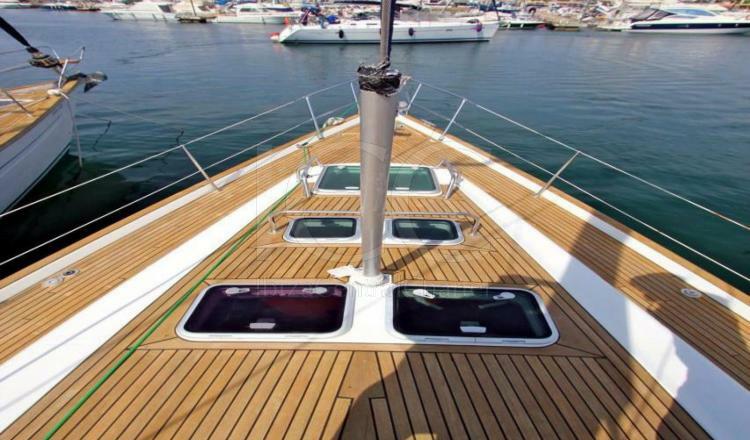 In addition, the outdoor area includes a non-slip teak deck that, in addition to facilitating movement on board, gives the Beneteau 50 Oceanis a glamorous and sophisticated image. 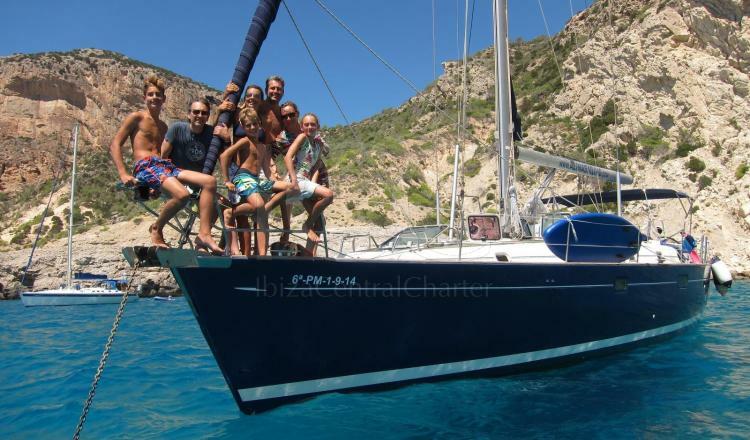 With a capacity of up to 12 guests this sailboat gets its passengers to discover a new nautical universe. In short, it is a home in which to enjoy an unforgettable vacation. 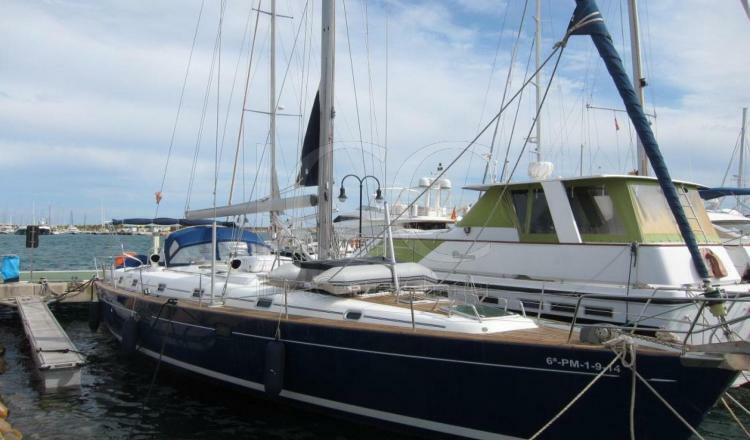 - Mooring included in check in and ckech out for weekly rentals. - Final cleanning services: 150€/week. - Drinking water consumption: 20€-30€/week. - Bed liner and towel: 20€/person. 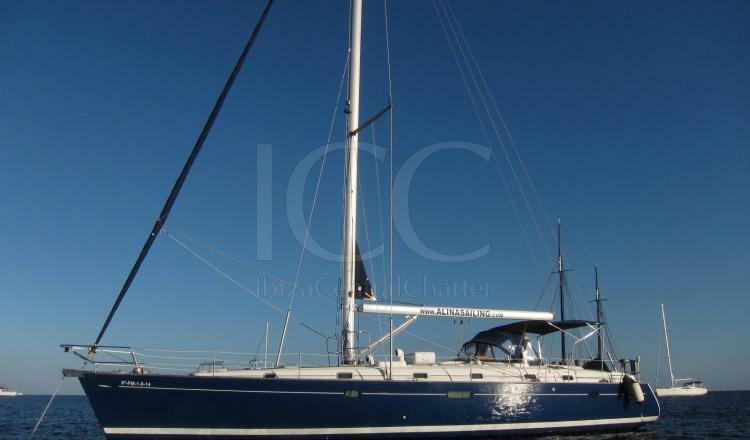 50% reservation- 50% 4 weeks before charter. Through bank transfer or on cash.